The XR-PHEV II previewed the next-generation ASX, Mitsubishi's No. 2 seller in Europe. Mitsubishi should become an SUV-only brand in Europe positioned below Land Rover to boost its profitability and sales volume, the brand’s UK boss believes. The Japanese automaker’s European volume is already tilted toward SUVs after the company axed its slow-selling Lancer compact car in some European markets including the UK. This left the Mirage/Space Star hatchback as the brand’s only car with any significant volume. Mitsubishi’s UK chief, Lance Bradley, says the brand needs a subcompact SUV/crossover like the Nissan Juke to complete its SUV line-up. Mitsubishi would be able to charge more for a subcompact crossover than it does for the Thailand-built Mirage subcompact. “If you are just selling on price, that’s miserable,” he said of the budget Mirage. Mitsubishi is a tiny player in Europe with a market share just below 1 percent but the growth of the SUV market and increasing interest in plug-in hybrids is giving the company a double boost. The Outlander plug-in hybrid is selling well among environmentally conscious buyers and gaining positive publicity. The midsize Outlander in both its plug-in and conventional guises is now the company’s second-biggest seller after the compact-sized ASX. Through April, the ASX and the Outlander SUVs accounted for just over 30,000 units of the company’s 45,429 European volume, according to JATO Dynamics data. ASX sales were 15,533 and the Outlander’s volume was 14,677. Sales of the Mirage minicar, the No. 3 seller, reached 11,034 while 1,502 Lancers found buyers. 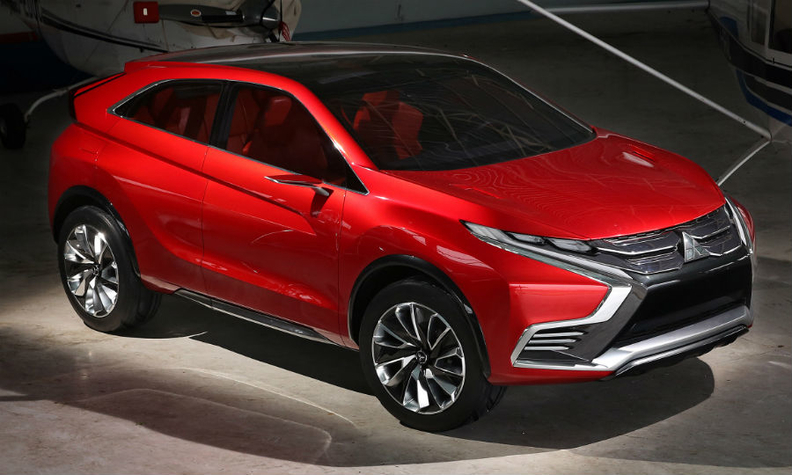 Next year Mitsubishi will launch a new ASX previewed by the XR-PHEV II concept unveiled at the Geneva auto show in March. A plug-in hybrid version is due a year later. A new Pajero/Shogun full-size SUV will arrive in 2018. Bradley says this model will anchor the brand’s credentials in the SUV sector by being competent off-road. It will also undercut the rival Land Rover Discovery on price, he said. Bradley thinks he has an ally in Mitsubishi’s new global design chief, Tsunehiro Kunimoto, who surprised the industry last year when he moved to Mitsubishi from the top design job at Nissan. If anyone can replicate the success of the Nissan Juke at Mitsubishi, he can.